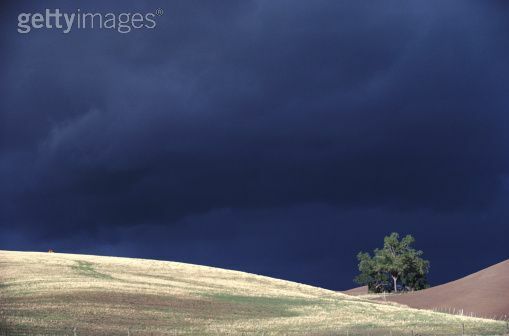 This month we have been exploring the ways weather matters to farmers. Some of you have also been collecting data about the weather in your area. We asked a few questions about March and now we can use this data to find the answers. But just looking at a list of numbers may not be the easiest way to learn anything! That is why we need a graph. Graphs are a way to take data and make them into something like a picture. This makes them easy to understand! The first thing you need to do is decide what data to put in a graph. I am choosing to put two kinds of data in my chart; lion days and lamb days. I used a program on my computer to draw this pie graph. 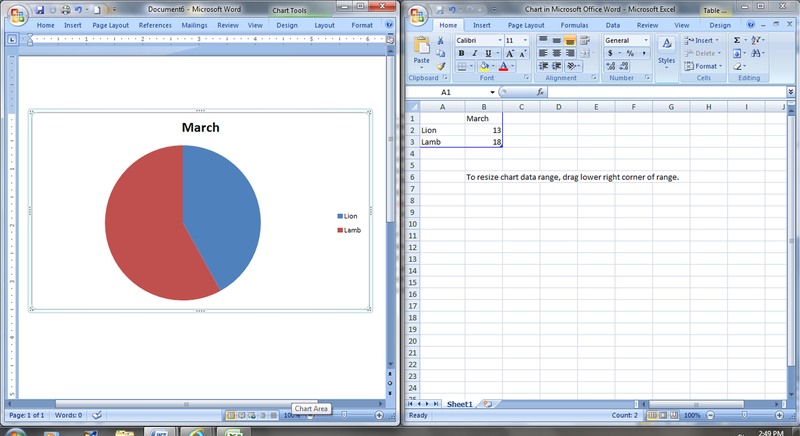 Its called a pie graph because you slice a circle into pieces to show data. When I look at this graph I can see easily there were more lamb days than lion! Farmers live by the weather. That is why we keep this website at our fingertips. The National Oceanic and Atmospheric Administration provides all kinds of weather related articles, but most important to our farm is the forecast feature! Type in your town or zip code to get a five-day picture forecast and a detailed seven-day outlook. We use this site most because we need to know more than today has a 50% chance of rain. If our tractor is planting we need to know when the rain is coming through. If the combine across the county we need to know where hail is predicted. If severe storms are on the way we need to know how they will shape up. Which means we need 24 hour access to a radar and satalite images. Scroll down a bit and look on the right hand side for pictures like these. When you click on these images you open pages that allow you to learn in more detail what is happening in the sky. The radar, which is the picture to your left, is one we really rely on. The image will show your specific area of the country and the button on the left act like a “play” button so you can watch how the clouds have moved in the last hour. If today is a clear, cloudless day you might not have much to see, but the next time it storms you can actually view the whole thing on your computer! Radar helps us see what is happening right now. Sometimes, however, we need to get a better idea about what is coming in the future. That is when we turn to the satellite. The satellite shows temperature and cloud cover across the US. Weather is created by temperature. Cold fronts meet warm air and weather happens! Check out the bar code on the right side and notice that blue colors are cooler and red shades represent warmer regions. Then you can click on the different images to see temperatures throughout the country. Watch the temperature and watch the clouds. Can you see what might be happening? Sure, reading the forecast is much easier to understand, but if you learn to read the clouds, they will tell you just as much!